Computers all over the world are going haywire, which was even a big deal back in 1980! Who could possibly be behind it all? Well, don’t look at the cover to Action Comics 514, because it kinda spoils it. 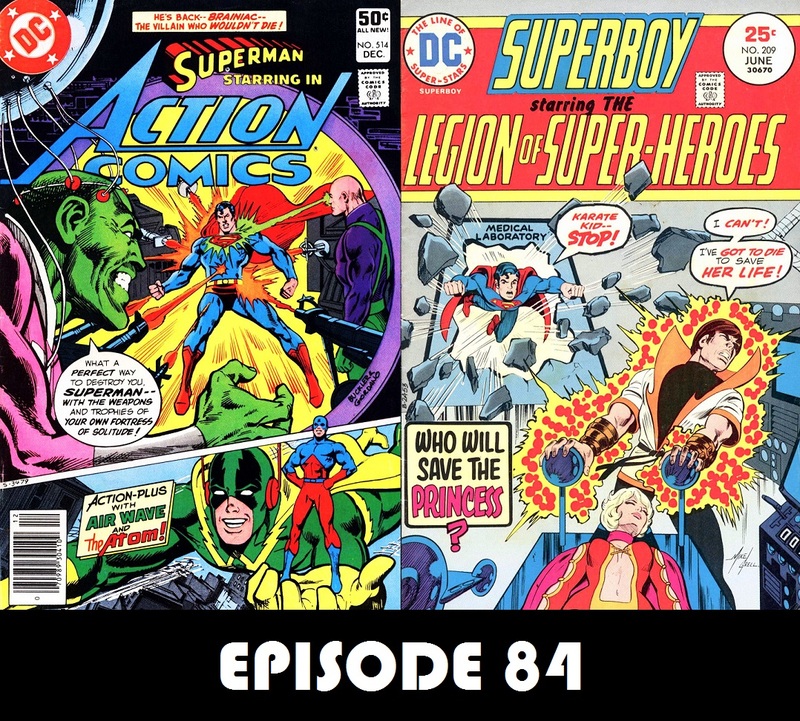 Plus, Superboy and the Legion try desperately to find a way to save Princess Projectra from the Pain Plague! The American Broadcasting Company (ABC) has changed several logo designs since its inception in 1943. The earliest ABC logo was introduced in late 1943 and consisted of an icon of a microphone, with the letters “T” and “V” on its left and right sides respectively. The letters “ABC” were vertically aligned within the image of the microphone. In 1961, the “circle logo” was designed by the legendary graphic designer, Paul Rand. The logo consisted of a simple black circle with the lowercase letters “abc”. This version was the cornerstone of the network’s clear and cohesive advertising and communications. The use of negative space, and simplicity, combined in a circle, provided a clear and consistent message to the audience. In 2007, the network introduced a 3D version of the logo, while revamping it with a more modernistic, glossier and advanced look. It has barely changed in over 50 years. J. David Weter has me intreged with planned changes to his segment. I love the Superman: The Secret Years storyline and can’t wait to hear David’s take on it. Since David is such a Superboy fan, could you ask him for me if he thinks that the Filmation Superboy cartoons will ever make it to DVD? Next question of the week…how about favorite Superman story with Supergirl?